The Chinese smartphone manufacturer, Coolpad silently launched a new M-series smartphone in China, the Coolpad M3. This entry-level smartphone furthers the M-series budget line-up of handsets by Coolpad. The brand did not release any information on its Weibo handle about this new launch. However, we know that this new smartphone from Coolpad lands right in the budget segment and comes with a notched display, dual rear camera setup and 4GB of RAM among other features. Read ahead to know more details about the newly launched Coolpad M3. The CoolPad M3 features a 5.85-inch LCD screen with an aspect ratio of 19:9 rendering a resolution of 1512 x 720 pixels. We also get to notice a notch on top which houses the front camera sensor along with other sensors as well. Under the hood, the device is powered by an octa-core MediaTek MT6750 chipset clocking a frequency of 1.8 GHz. This processor is paired with 4GB of RAM and a 32GB of internal storage which is also expandable via a microSD card. On the rear side, we get to notice vertically oriented dual rear camera setup which comprises of a 13MP primary sensor. The LED flash has also been placed on the rear side in between the two sensors. On the front, the Coolpad M3 flaunts a 5MP snapper. The front camera also comes with the capability of differentiating skin tone and features depending on whether the subject is a male or female. As for the battery, the Coolpad M3 features a 2,800mAh unit which lends support for 5V/2A charging. For security, the device features a rear-mounted fingerprint sensor along with an AI-assisted face unlock method. On the software front, the phone boots the Android Oreo 8.1. The device also comes with a 3.5mm headphone jack and also features a micro USB port, Bluetooth and 4G LTE for connectivity among other options. Coolpad is offering two colour variants for this phone which include the Gentleman’s Enamel (Black) and Blue Sea options. As for variants depending on storage and RAM, Coolpad M3 will only be available in a single model with 4GB of RAM and 32GB of storage, and it will go for live sale on November 28 at 10 AM. However, before that, the brand has also put up the phone for pre-order which can be done over the popular Jingdong Mall e-commerce website. 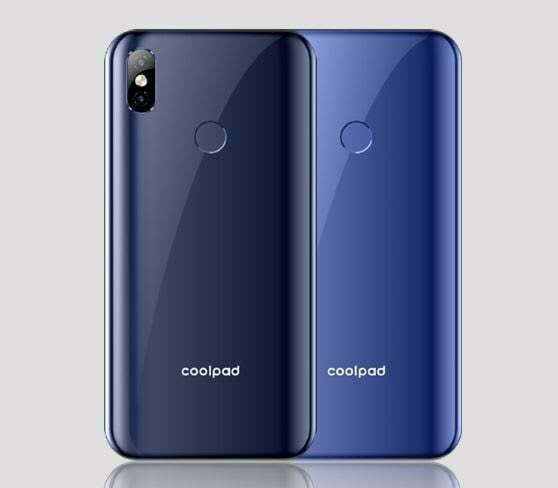 As for the pricing of the phone, Coolpad has announced a price tag of 799 Yuan (about Rs 8,130) for the Coolpad M3, which makes its one of the most affordable smartphones to feature a notch. Speaking of the phone’s availability in the Indian market, we will have to say that since Coolpad has lost its hold over the Indian market, there has been no official word from the company about it yet. However, before this, Coolpad did launch the Coolpad Note 8 in India which also made its entry in the budget segment, even then, owing to extreme competition from brands like Xiaomi, Coolpad could not register impressive sales for its phone. If, however, the company decides to launch the Coolpad M3 in India, then it will go head-on against other phones like Redmi 6 Pro, Realme 2 and Honor 7C in the same price segment. Head on with Note 6 Pro!!!!!!!!!! With all the beauty specs the processor is crap, nowhere near the other phones. As far as the price goes, it is like buying Bullet with 100cc engine and paying the price of Bullet.